Professional aviation company in Kenya. 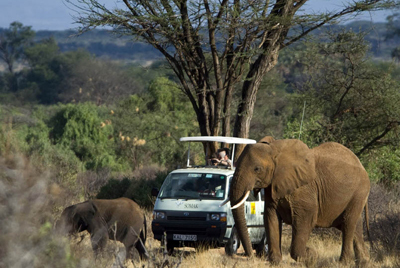 Aeroflight Services Kenya is a reputable trip support company providing 365 day & night flight support services. We deliver highly customized trip support solutions to our clientele worldwide. The company’s success is driven by its commitment to customer care and developing strong and long-standing relationships. Aeroflight Services Kenya has a reputation of exceeding expectations – every flight is assigned a supervisor and our experienced professionals personally follow up the journey in order to ensure smooth and seamless travel experience for the client. We instill the highest standard of business conduct to our valued employees. We foster an environment for growth for our highly skilled, well-trained and dedicated staff translating to exceptional service delivery. Our special ties and close liaison with authorities such as CAA and airports ensure prompt responses to all our requests. Our facilitation terms can be conveniently arranged on credit basis. In this regard, for your current and/or future business operations, needs and requirements in Kenya and Africa, Aeroflight Services will be proud to be associated with you and to support you fully. We eagerly look forward to a wonderful business relationship with you in the very near future.